University of Ontario Institute of Technology faculty may be walking off the job after voting overwhelmingly in favour of a strike mandate. 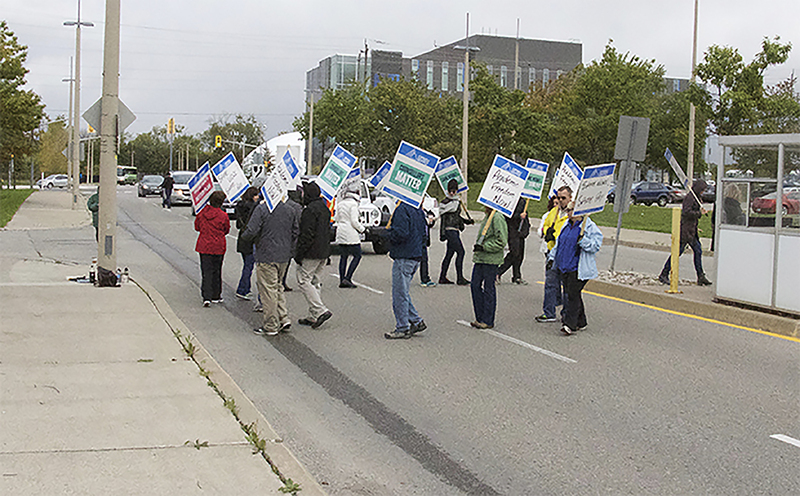 Eighty-six per cent of UOIT Faculty Association (UOITFA) members voted in favour of a strike and 79 per cent of faculty members voted, according to the UOITFA. This is the highest recorded vote in their history, the association says. Main issues in the dispute are pensions, benefits, workload and continued protection of due process, according to UOITFA. According to a mass email sent out to multiple media outlets, UOITFA is making fair pension and benefit plans a priority, saying theirs is “among the worst” in Ontario. “Our members are deeply committed to the students of UOIT, and love their jobs; at the same time, they deserve the same level of job security that is enjoyed by professors at other universities across Ontario,” says UOITFA president Kimberly Nugent in the release. The Chronicle reached out to UOIT for comment, but they did not respond in time for this publication. There has been no word on whether or not the strike will move forward or when students can expect it to take place. The Chronicle will continue to monitor the situation as it develops.